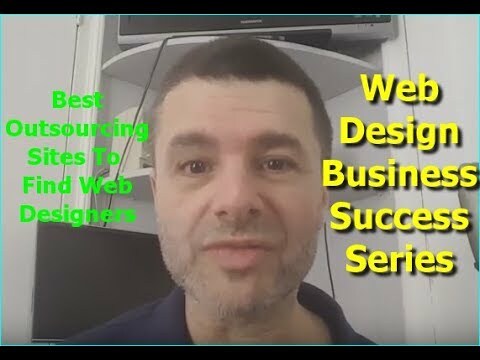 In this video on how to succeed as a web design business, I’m going to show you the sites that work the best for me to outsource other web designers and developers. If you are running your web design business, and are looking for on the web designers for outsourcing, I have three websites that I use often. I’m always on them putting out jobs and projects so people can bid on them and send web design proposals. Some of these websites let web developers do certain things to get your attention like writing proposals, some do not. In the web design field, you don’t have to always do the work yourself. You can find people from all over the world to help you at a fraction of the cost and most of these websites have very good search engines internally to help you find exactly the work and help you need which includes hourly rate, skill level, ratings, and more. For those of you who are already using outsourcing sites, this might not be news to you but you might have a different list of outsourcing sites that you love and use but I’ve tried them all, and find that these websites that I talk about in this video work the best for me. A lot of people look for talent on Fiverr.com, freelancer, elance, upwork and others, but these the most effective ones that work for me.